Roller printing is a printing method where printing design is produced by engraved rollers. It turns out color-designed fabrics in vast quantities at the rate of 1000 to 4000 yards an hour. This method of producing attractive designs is relatively inexpensive when compared with any hand method. It is machine counterpart of block printing. In this printing, engraved copper cylinders or rollers take the place of the hand carved blocks. 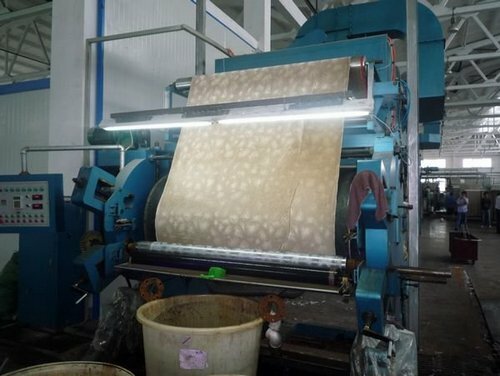 Just as there must be a separate block for each color in block printing, so must there be as many engraved rollers in machine as there are colors in the design to be imprinted. With each revolution of the roller, a repeat of the design is printed. Flowchart of roller printing is given here.